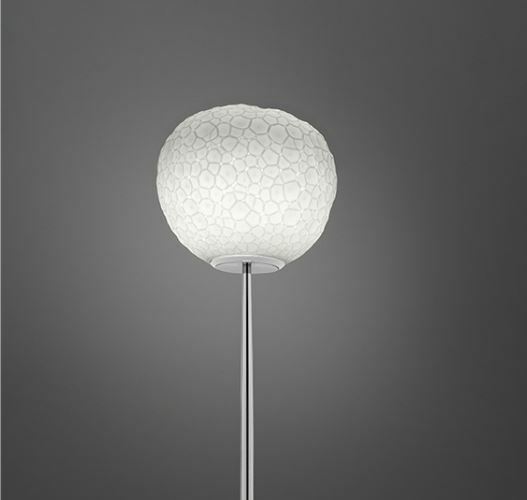 The Meteorite range has a stamped and blown glass diffuser, finished using the 'stampo a fermo' blowing technique which is combined with a special way of grinding. This gives the unique texture similar that inspires the name of the range. 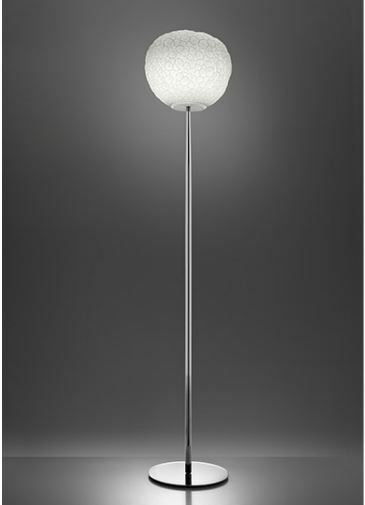 The body of the Meteorite floor lamp is made from technopolymer, with a steel base and stem.